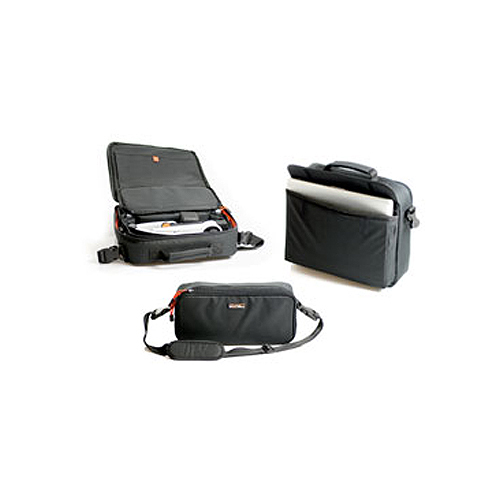 Clever 2-in-1 carrying case that fits your MagniLink S. The larger case has enough room for both the MagniLink S, a 15.4” laptop and your other stuff. The smaller case can be used separately. Details in contrasting orange colour.